I’ve had this happen multiple times. Your kids are bored with your beach toys. You forgot them. Or worse…they got “lost at sea.” Instead of paying for more of them, you might have some of these ordinary household items around and collecting dust. 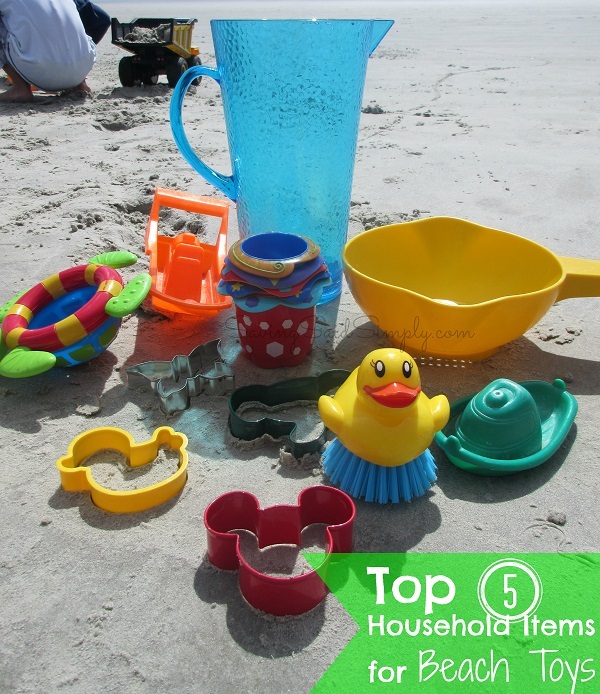 Here’s my list of the Top 5 Ordinary Household Items that Make GREAT Beach Toys. Great for finding new treasures, collecting shells or straining water and sand! A pitcher is wonderful! 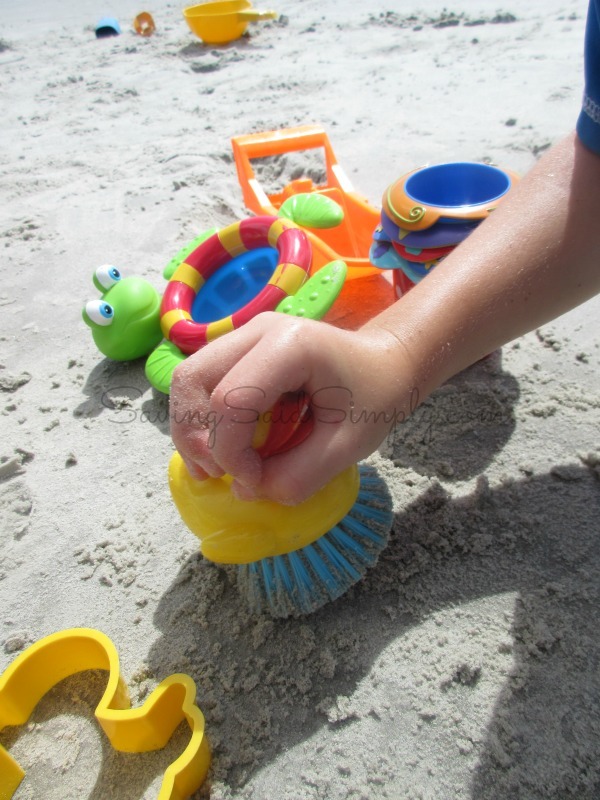 Take a plastic one to hold your new toys, fill with sand, water or both! 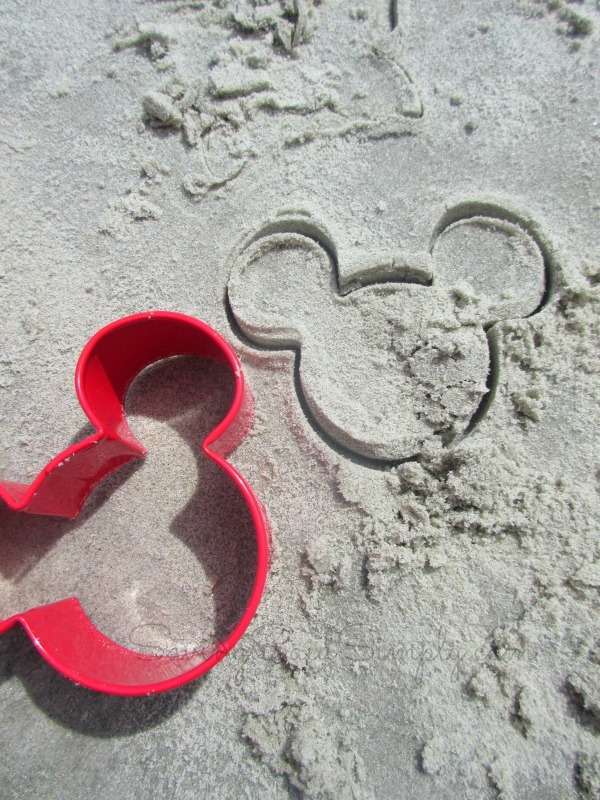 Make new sand shapes with cookie cutters! Bring your child’s favorite! Who says bath toys are for home only? Take some old ones to the beach and give them life again! Can’t grab sand without a digging tool! I loved the idea of kids cleaning up the sand. Make new patterns, erase footprints or just smooth out an area for play. I’ve been wanting to do this post for awhile. 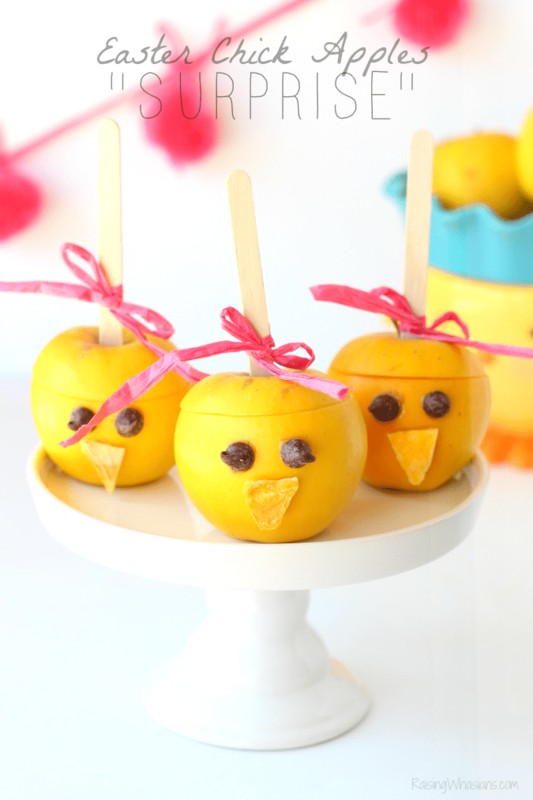 I love the idea of taking something ordinary and making it into something fun for the kids! 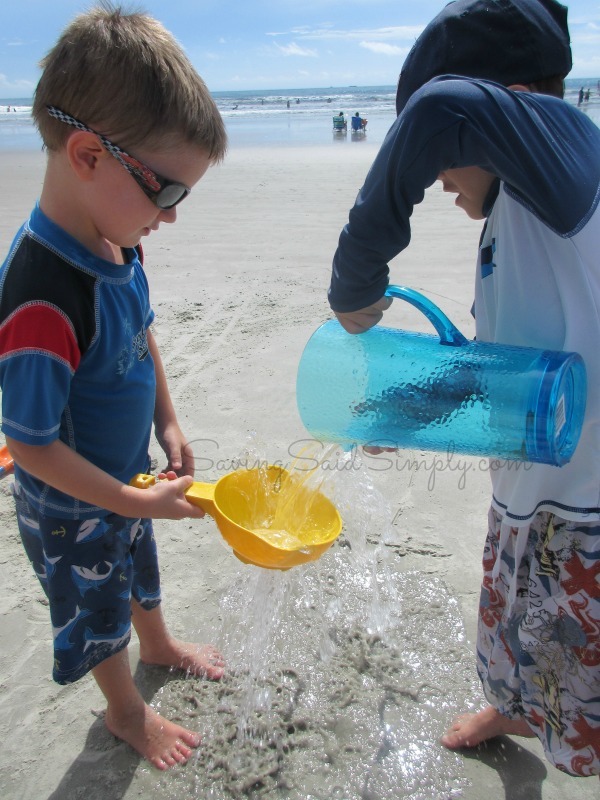 Let them play, explore and discover at the beach with these household items! What household item would you add to this list? I can’t think of anything, but so true – these are perfect to use as toys at the beach! Love it!